Home Development Mutual Fund has given us sporadic list of their directory of branches all over the Philippines. 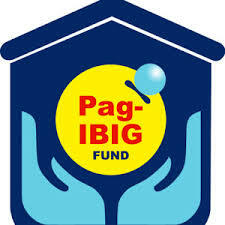 The purpose of which is to allow easy offline inquiry regarding member account details and information as well as help disseminate the latest information regarding Pag Ibig Fund (HDMF). Different hotline numbers were also given publicly to allow members to have a 24/7 call center for all problems as much as possible. This also helps the government agency to be able to easily serve Filipinos all over the world. In aid of legislation, what HDMF did was to come up with a list of branches including those that serve OFW loan abroad thru the DFA or consulate offices in different countries. As of today and the writing of this post. more and more offices were in a combined effort being put up to serve Pinoys with respect to provident loan, housing loan and other member benefits. As for this particular need, here is our listing for the Pag Ibig Buendia, Makati. Location Address: GF/2F Justine Bldg. If you take a look at the map, there are literally 2 offices along Buendia Avenue in Makati. As of the latest update, there is one catering to serve member problems and concerns. Found below is the official location for easy guide for members on how to get there. Please be guided accordingly. Parking is not available in this branch of the HDMF but you can always park in some malls along Makati area for convenience if you have your own vehicle to use in making your inquiry. See map below and guide for commuters if you come from LRT Station in Buendia, Taft Avenue. You can download forms at the official website or visit our FAQ page for more information and common questions and problems encountered by members. Request cashcard transfer from Pag ibig Buendia branch to Pag Ibig Angeles City branch.